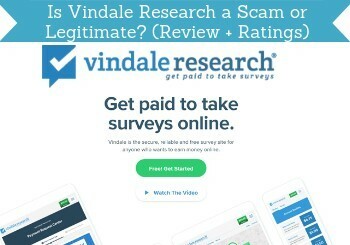 Since there are so many different survey sites you may be asking “is Vindale Research a scam?”. Usually when something seems to be too good to be true, you get disappointed. This Vindale Research review will answer all of your questions, so that you can make the decision of whether to join the site or not. You will see the full details of how to join, who is eligible, what to expect as well as the positives and negatives of this site. What is Vindale Research and what does it offer? Vindale Research is a survey site and more. It was established in 2005 and has grown and expanded over the years in many different directions. Vindale has a good amount of opportunities as you can see, and there are some way of earning you do not see on many other sites. Like for example the option to post a photo with your Vindale reward and earn extra for this and the option to give feedback on videos. In addition to the Vindale surveys and the other methods of earning listed above there are studies which frequently take longer and may refresh several times per day. Some you will be restricted to participating in once or once per day while others may allow you to participate repeatedly. Like the surveys, the rate of pay for these studies will vary from a few cents to several dollars. How long it takes to complete a study may depend on how many questions there are and how quickly you can answer them. Usually you can see how long a study or survey is estimated to take before starting, and you can also see the reward beforehand, and this way easily decided, if it is a study/survey you want to participate in or not. There is also a Vindale Research extension for Chrome browsers. The Vindale Chrome extension can make it easy to keep an eye on the opportunities. 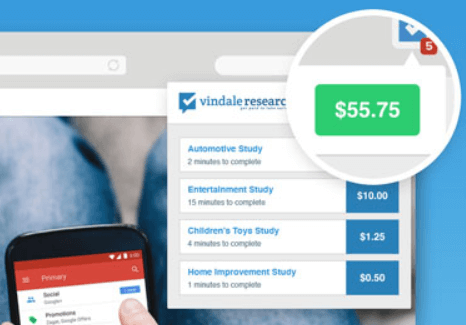 If you install this extension, you are kept in the loop for your earnings plus you get to see when new Vindale Research surveys are posted on the site. The faster that you sign up for the higher paying surveys, the more likely you will be to get a spot. These fill up rather quickly, so it is a great opportunity to have advantage of seeing as soon as they are posted in your browser. Every survey will require some pre-screening questions on Vindale as it does on any other survey sites as well. This is to make sure that you are in the right demographic group. If you are right for the survey and there are spots open, you will complete it and money will be posted into your Vindale account. Once your account reaches the payout threshold of $50, you can request a pay out. 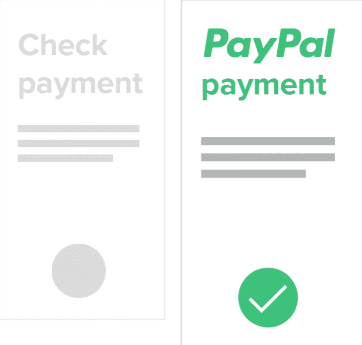 You can choose to get paid by check or directly to your PayPal account. It may take several days after a request is submitted for the money to be transferred to your account. You can get paid by check or through PayPal on Vindale. I personally love sites that pay through PayPal, because it is such an easy and fast way to get your rewards in cash. Check of course takes a little longer, as it has to be mailed. But it is good to know there are several options, so you can choose the method that fits you the best. The payout threshold on Vindale is very high compared to other survey sites. This means that if you only take the low paying surveys, it might take a while before you reach the threshold and are able to cash out. Vindale does however also offer higher paying surveys than most other survey sites, which of course makes it easier to reach the threshold and for these surveys it gives better value for your time spent than most other sites. The site is 100% free to join. You will never be asked to pay a fee for anything on Vindale Research’s site. Be careful with any survey site that asks for money to join – they are likely just going to scam you. Can you use Vindale on mobile devices? You can access your Vindale account anywhere and from any device. The website is fully optimized, so it is still easy to use on smaller screens, and it gives the same opportunities on all devices. This means that whether you want to do surveys on your home computer or on your phone while waiting for an appointment, you can choose how, when and where you complete surveys or do other tasks. Who can join Vindale Research? You must be 18 years old to join Vindale Research. Originally it was limited to just the US, but it has expanded to include UK, Canada, and Australia. You can either join by creating a profile on the website or by connecting via your Facebook account. You can connect with the site on other social media including Twitter as well. If you want to join, you can just click the button at the end of this review, and you will be taken to the sign up page. If you are not from one of these countries, or if you instead want to see the sites with the absolute best opportunities, you can check out the list of the best survey sites in your country. What type of support does Vindale offer? There are several ways you can get answers to questions or to solve a problem with the site itself. There is a Help Center which includes the FAQs with the most common topics. There is a section for help with payment and for tech help if you need it. Vindale has several ways, you can get help and support. If none of these help answer your question or solve your problem, you can also use the contacts which include the phone number, fax number and email address. There is also an option to submit a help ticket which will take several days to be answered according to the website. You can also contact Vindale through one on its social media channels like its Facebook page. I have not tried to contact the support through this channel, so cannot verify how quickly they will get back to you. But now you know there are different ways to contact Vindale, if you should ever need it. So, is Vindale Research legit or not? So far this Vindale Research review has been about all the opportunities on the site. There are some negatives you have to consider as well. First of all, it can be very difficult to get in to the higher paying surveys for a number of reasons. You may not qualify because you do not fit the right demographics. You may work in an industry that would disallow you from a survey. 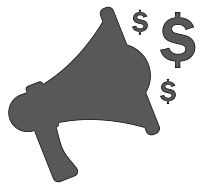 Higher paying surveys fill up very quickly and there may not be a spot for you. Secondly, since you have to get to the set minimum payout amount, you might get bored and forget to log in to your account. You may feel overwhelmed with emails with survey invitations that you simply opt out meaning that you will miss out on the chance at some of the higher paying surveys. Installing the Chrome browser can be a way to deal with this and keep and eye on the offer without having to check your emails. Thirdly, you will not qualify for every survey – this is not only for Vindale, but something you have to know about more or less any survey site. Even if you are offered a survey via email, you may not qualify once you answer the screening questions, or it may have already filled up by the time you get around to doing it. There are so many variables that come in to play with every survey. Some will clearly state the topic on the email and others will say “mystery topic” so think of it as a game rather than as something super serious. There are some complaints about Vindale Research. This does not mean it will not be a good site for you. There are just some people that have had a not so good experience with it for various reasons. Below I will go over some of the complaints I have seen about Vindale, and then you can decide for yourself whether they are valid complaints or not. There are for example many complaints about people who have hit their goal amounts and requested payouts only to find out that there was a technical glitch that prevented the payout from happening or worse, some of their survey amounts were reviewed and then disallowed without warning. If this should ever happen to you, I would advise you to just contact the Vindale support asap. Some people also complained that they contacted the resolution center for their issues and were never fully satisfied with the answers they were given. This led to further complaints and more problems. To prevent this from happening it is important that you are following all the rules for every survey that you complete so there is no reason for dispute, when the time comes to get your pay. Another common complaint was technical in nature. 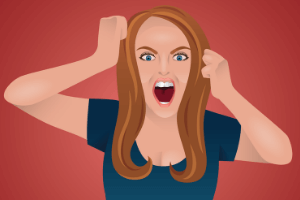 These people complained that whenever they were doing certain types of surveys, it would freeze and would either return them to the start or kick them back out of the survey or the site altogether. While people were directed to contact the Tech Help Center for these issues there was no follow up about whether these issues are common and what the site is doing to resolve it. If it is the person’s computer or internet service that is the problem is of course difficult to say, and I cannot say for sure how often this has happened. But I have just seen some complaints about this. A few people also seemed to think they could use Vindale Research as an actual full-time job. There are a few jobs listed on the website, but those are different than simply doing a few surveys here and there. The Job Center is new and offers jobs postings from other sites not directly from Vindale Research. You may see several jobs listed for your local area in certain types of industries. That information can be found at the bottom of the web page under “Earn”. This does however not mean you can earn a full-time income on income – that is not realistic, and is not realistic on any paid survey site. Finally, there were more than a few people who complained that they were “lured” to the Vindale Research site with the promise of data entry and other types of jobs that are not offered there. There were some who went to seminars about work from home businesses, and the links they were given were for Vindale Research and others. That some people are promoting Vindale in a misleading way however has nothing to do with the platform itself. Many sites have the problem that people are using their name in misleading ways. Vindale has an email address on the website, where you can report abuse like this, so if you ever run into a place giving misleading information, I would suggest reporting it to Vindale. Vindale Research is not a scam, but it is not a job or a home based business either. No one is feeding their family or jetting off to vacation hideaways while doing surveys, reading emails and watching videos at home. Overall, there is no doubt Vindale is legit. If you approach it as a fun way to make some extra money on the side and at the same time have your opinion heard, you will be perfectly happy. If you are approaching it as a potential new career so that you can “fire your boss” once and for all, you are going to be sorely disappointed. If you want to join Vindale, you can just click the button below. Then choose your country, and you will be taken to a sign-up page, where you can easily sign up with your email or through a social media account. If you have any comments, questions, or have any experiences with Vindale Research yourself, I would love to hear from you in a comment below. 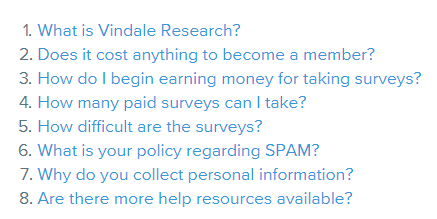 Vindale Research is a legit survey site that also gives you more opportunities to earn. It is not the survey site that will give you the best opportunities, but it has a good amount, and it can be a great way to earn some extra cash in your spare time. Fantastic review. Vindale sounds legit as a lot of survey sites but you’re are right – I have not found one yet you can earn a full time income from. It almost seems as you will have to stay on top of it 24/7 if you want a chance to get into the higher paying surveys. I would definitely say give it a go if you have the time it is free to join and as you shared it does have multiple ways to earn. Thank you for this very informative review and I look forward to reading more articles from you. Yes you need to be fast to get into the high paying surveys on Vindale – if you get in on them, they do however also pay very well compared to most other surveys, so can be worth giving it a shot. This is one way of making money but not a very lucrative one and also it takes a lot of time to make any kid of good income from getting paid partaking in surveys. This one that you are presenting however seems to be offering more than most paid survey companies, it may be worth taking up the opportunity and see how it goes, we will not know until we try will we. Thank you for sharing another source of creating an income, heave a great day and take care. If you react fast and get access to some of the high paying surveys, Vindale can definitely be worth the time. Just remember that no paid survey sites will be able to make you a full-time income, but it can give some nice extra money on the side. Feel free to come back and let me know your experiences, if you end up joining.